Brendon de Meyer is a certified, experienced network & systems administrator/engineer with a practical consulting and training background. He studied at CTU Training Solutions from 2007 until 2008 and continued to become an invaluable facilitator to 1st year and 2nd year academic students for more than 5 years. Brendon believes that security is the next big thing to look at because we’ve been doing cloud computing for years. “It’s one of those things – we had it, we put it in, got there very quickly but we never bothered securing it and so we have to back track on that.” He thinks the focus should be shifting to first building your environments with regards to security. Brendon has varied experience, making him capable in small business to enterprise and carrier-based environments. 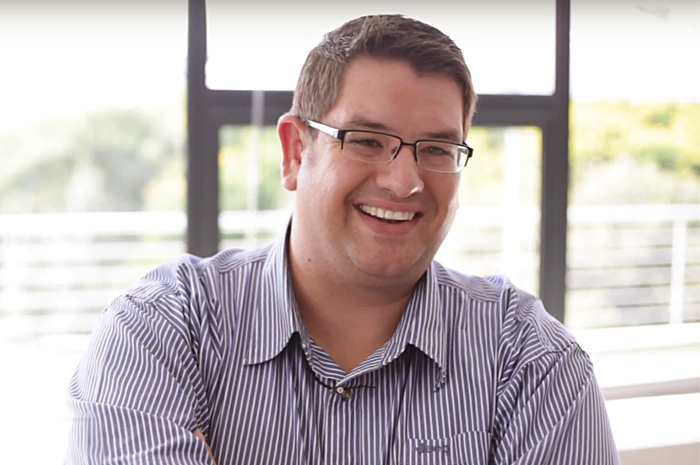 He believes that he has been fortunate enough to work with the best – firstly with the best training company in South Africa and then moving on to the world leader in mobile device distribution solutions. In 2017, he finds himself with a market leader in financial and wealth management systems. Brendon is driven by a solid family grounding that makes him a reliable and diligent worker who always keeps the end in mind but documents the steps.